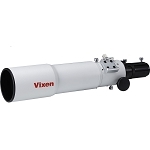 Vixen A80M 80mm Telescope is a achromatic refractor scope featuring high quality optics. 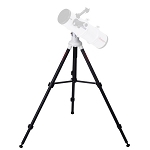 The telescope has a 4" optical tube with excellent light gathering power, and will deliver great views of the planets and beyond. 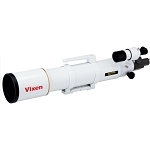 With its fully multi-coated objective lens, the Vixen A80M Scope will bring you high contrast, sharp images. The light weight makes this Vixen telescope easy to handle and transport. 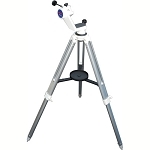 The Vixen 80MM Telescope Tube includes a Flip Mirror Diagonal, Tube Rings, Carry Strap, and Dovetail Plate, and comes ready to attach to your mount. 5 Year Warranty.